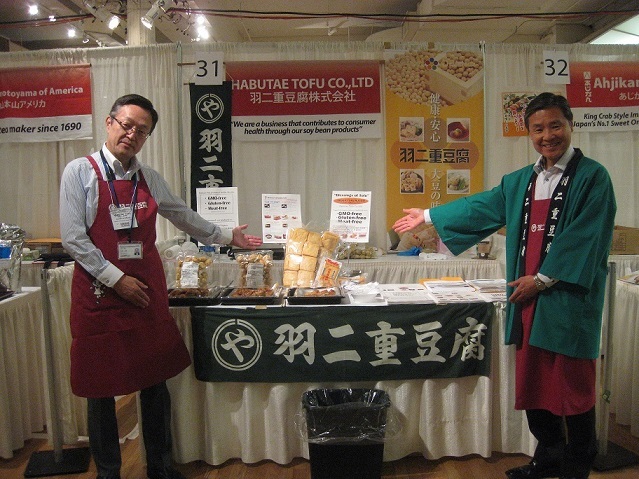 News Release | Habutae Tofu Co., Ltd.
Jul. Veggie Tofu Nuggets Export start. 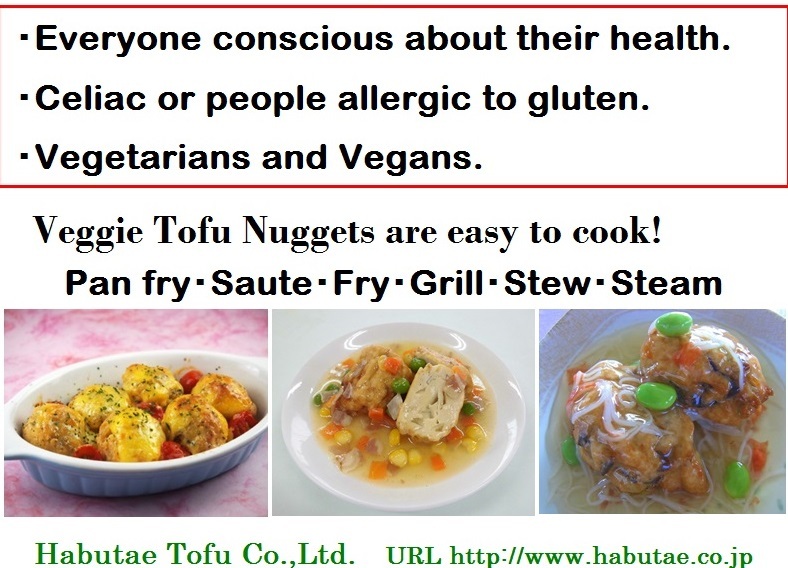 Veggie Tofu Nuggets are Japanese traditional healthy food. to remove egg whites and flour. The feature are Meat-free, Gluten-free, Non-GMO. All our products use Non-GMO soybeans. Chinese cuisine, Turkish cuisine, French cuisine, Italian cuisine and so on. Sep. New York Restaurant Expo 2016 in New York. 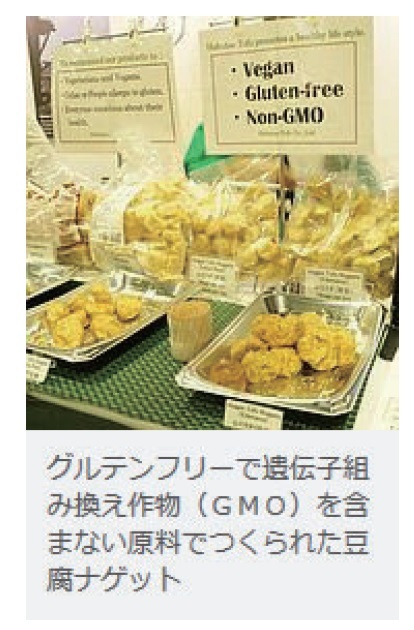 Veggie Tofu Nuggets are the first sale in the United States. 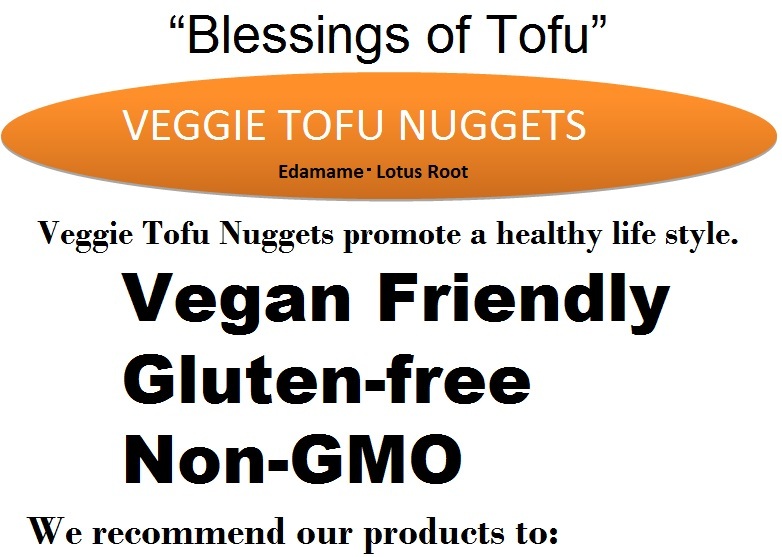 Veggie Tofu Nuggets has been recognised as a healthy food ingredient. Oct. Food Japan 2016 in Singapore. Mar. JETRO exhibition in Los Angeles. May.Shanghai Kokubu exhibition in Shanghai. Jun. Vegan Street Fair in New York. avocado, vegan cheese, tartar and tomato. Also offered as Green curry. 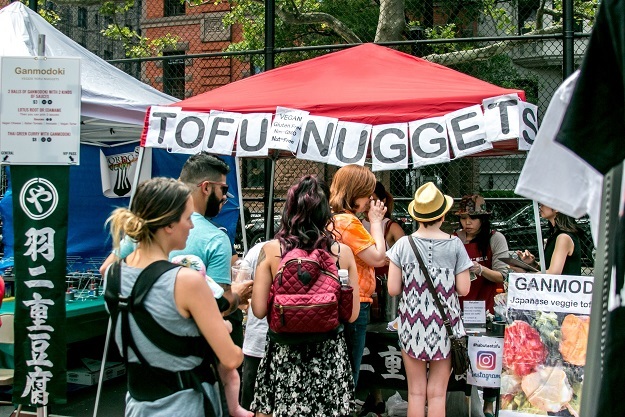 1700 pieces of Veggie Tofu Nuggets were sold out within hours. Jul. Hokkoku bank exhibition in Singapore. Sep. New York Restaurant Expo 2017 in New York. 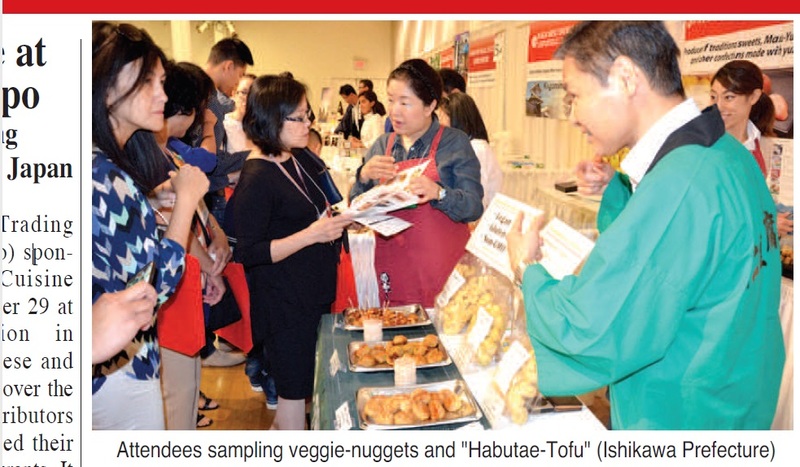 Published in "Weekly NY life" and "Daily sun"
Los Angeles Restaurant Expo 2017 in Los Angeles. Oct. Food Japan 2017 in Singapore. 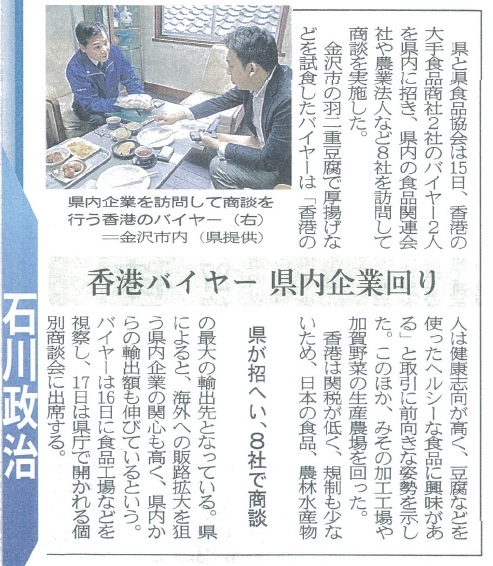 Published in "JIJI News Bulletin"